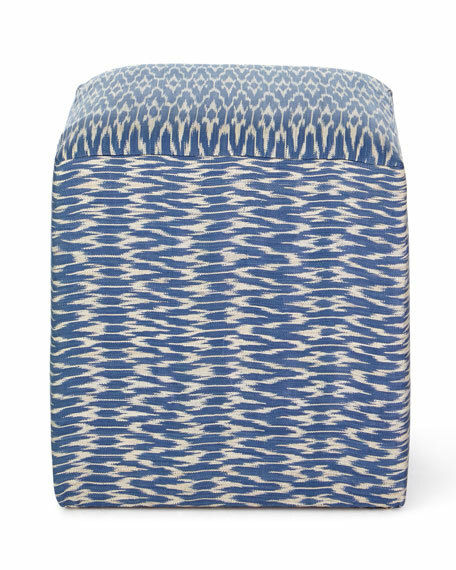 Artisan-made, hand-woven natural raffia with navy ikat raffia. Frame constructed in USA. 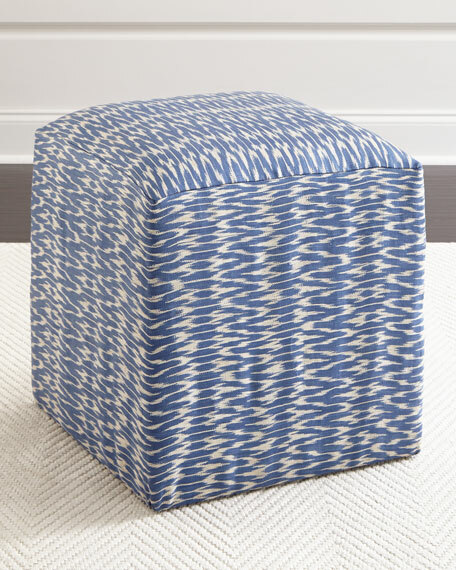 Raffia fibers are woven to create the textile covering the cubes. Natural vegetable dye, woven organic raffia. Use two under a console table or next to a sofa for additional, mobile seating.